<p class="canvas-atom canvas-text Mb(1.0em) Mb(0)–sm Mt(0.8em)–sm" type="text" content="News4Jax&nbsp;reports that the child was left alone in the parking lot for 15 minutes, during which a FedEx driver, who witnessed the scene, stayed with him and phoned the police. 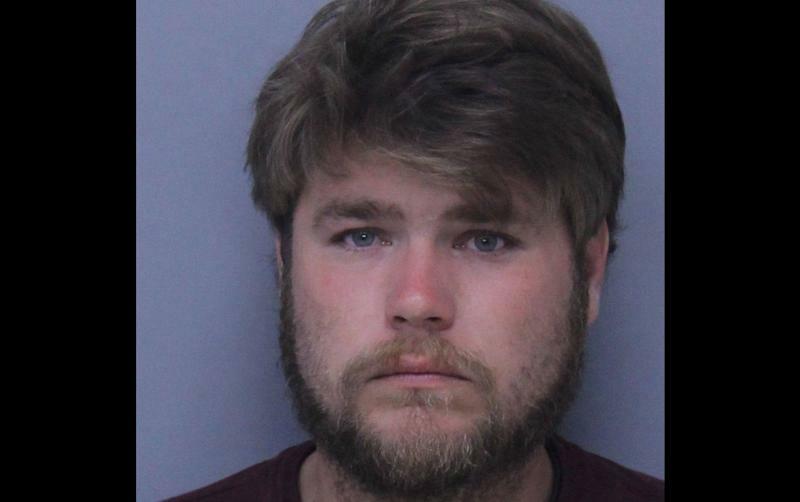 The driver told deputies that Griffis cursed at the 10-year-old and then kicked him out for throwing up in Griffis’ Kia Soul.” data-reactid=”23″>News4Jax reports that the child was left alone in the parking lot for 15 minutes, during which a FedEx driver, who witnessed the scene, stayed with him and phoned the police. The driver told deputies that Griffis cursed at the 10-year-old and then kicked him out for throwing up in Griffis’ Kia Soul. <p class="canvas-atom canvas-text Mb(1.0em) Mb(0)–sm Mt(0.8em)–sm" type="text" content="According to the police report, the children inside the vehicle started to scream and cry. One deputy asked a child to unlock the door, and the child nodded "yes." However, as the child attempted to unlock the vehicle, Griffis allegedly put the car in reverse and accelerated and then hit his breaks, causing his tires to screech.” data-reactid=”28″>According to the police report, the children inside the vehicle started to scream and cry. One deputy asked a child to unlock the door, and the child nodded “yes.” However, as the child attempted to unlock the vehicle, Griffis allegedly put the car in reverse and accelerated and then hit his breaks, causing his tires to screech. Griffis then sped forward through a parking lot near a daycare and ran a stop sign — again, leaving behind the 10-year-old. He was arrested and booked into the St. Johns County Jail. In addition to being charged with four counts of child neglect, he has also been charged with resisting arrest without violence and reckless driving.